I agree that the framing story may alienate viewers that havent read the books. I would be fine with them just picking up with them in France and leaving the 1968 part of the story until the end of Season 2 or beginning of season 3. It would make for a great season 2 cliff hanger when Claire realizes Jamie didn't die. Though just her returning would be a great cliff hanger as well. I have full confidence that the writers will do an exemplary job no matter which way they choose to go. Keep it real. Follow the book. We will "suffer through"
There is just so very much material to cover in DIA that I could see them possibly leaving the framing story out of the beginning of the season to save time. Or possibly keep it but condense it a great deal. Claire finding Jamie's grave is a rather important piece of the puzzle so I'd think they would need to find a way to keep that. Whatever they do I have complete faith that they'll capture the essence of the story. I think they should do it just like the book. Can you IMAGINE the online hoopla when the season starts out with an OMG moment? I think that they way book 2 ends would make a great season finale. Plus we'd get to see Bree and Roger sooner!!!! I hope they stay with the book. I admit that I had to frantically leaf through to book the first time, to make certain we were going back to Jamie and Claire in France. I know viewers can't leaf through the TV to see what happens, I know Mr. Moore will find a lovely way to deal. 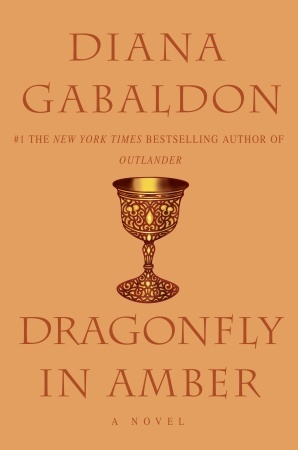 I seem to differ from everyone, A Dragonfly in Amber was my favorite book in the series because of the framing. I loved the shock value of being in the future and the "where is Jamie / what happened?" kept me intrigued throughout the book. I think it would work well on the show. Especially the ending and finding out that Jamie is alive. That made me want to read the next book immediately (although it wasn't published yet!) and would be a great cliff hanger for season three. I think I'll post this on Facebook too . . . 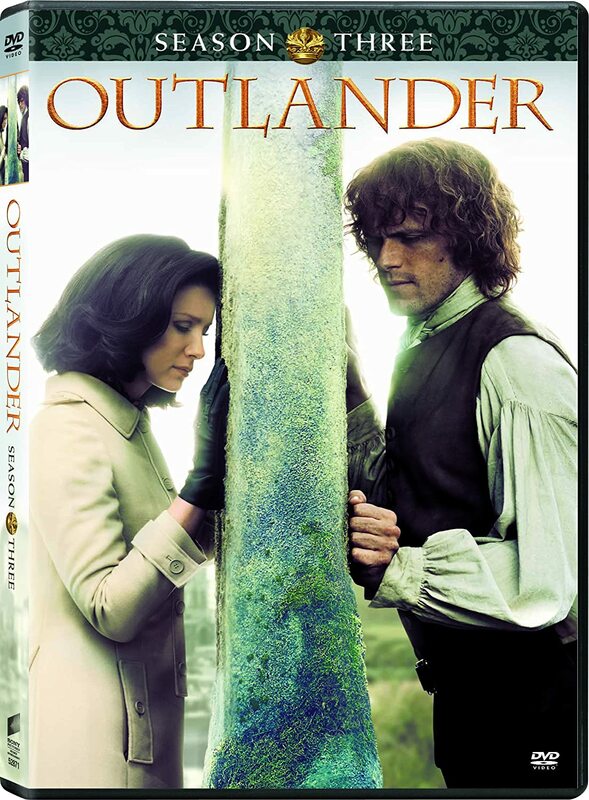 Since I learned the series was a go I have always thought it would be a heck of a season one cliffhanger to put a short "1968" cut at the VERY end of the season finale with Claire, Bree, and Roger in the graveyard at St. Kilda with Claire breaking down at Jamie's grave and telling Bree that Frank Randall is not her father. Some pros to doing it that way - 1) it would likely be GREAT for book sales 2) would generate a lot of buzz and 3) It might also help them keep the Bree/Roger casting a secret. 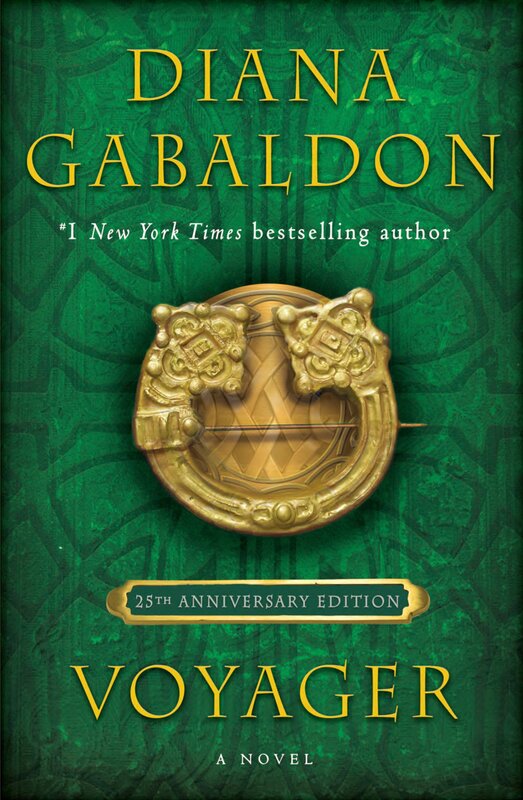 Most people who are fans of the show who have not read the books are likely to hear during the break between seasons one and 2 that someone has been cast as Claire's young adult daughter and Rev. Wakefield's now grown adopted son, which would be a huge spoiler about the time jump in any case. No no no! I think the best thing about that book is starting with 1968. You keep reading (and they will keep watching) to find out why the heck she's there. They go back and forth just like the book telling both stories at once. The interweaving story lines work because of how they're written. If you unweave them, the story just won't have the same effect. I love DIA, it's my favorite of the series, though I do love them all. (I know, I'm an oddball!) I think the framing story of 1968 should stay as is-- after all, that is the way Diana wrote it, and seeing Claire in 1968 first thing creates a powerful desire to discover the mystery of how & why she got there! I just finished re-reading (actually, listening to Davina :)) DIA and I really cannot wait to see it brought to life on film! I also wanted to add that part of the emotional power of the part in DiA where Jamie sends Claire back through the stones is that you already KNOW that she thinks he is dead and that she has not seen him in 20+ years and that Brianna has never known her father. Saving the 20th century stuff for the end of s2 would dramatically change the emotional tone, IMO. It was jarring at the time, yes. But looking back, the genius of the books lies in the way the story is told. I would hope they know better than to mess with genius. I'm putting all my money on them ending season 1 with a 2 minute clip taken from the first scene of book 2. It's too incredible of a cliffhanger for them to leave that to season 2. Imagine that you don't know the story, and with minutes to go in the finale it looks like they end up together and relatively happy... and then you see "Meanwhile, back in 1968", and a scene with Claire calling herself Claire Randall again, next to a woman who calls herself Brianna and looks remarkably like Jaime. There is no way that you would not tune in next season to see what had happened! Also, I agree that if you start a new season with that scene, it would be too confusing. I really like the framing device because as you read the core of DIA, you feel a bit of what Claire feels the whole time: an urgent desire to see history turn out differently, but a terrible sense that you can't really change anything. Do you think the reason the UK hasn't picked up the series yet is because of the Scottish election for independence coming up in September? The Series is so anti-English - up in Scotland it might be enough to tip the election toward independence, so why would BBC down in London want to air it early? Last I heard was that, although all summer, it was a close tie, now it looks like the bid for independence may lose. Interesting speculation to think London television is wary of Diana's Book One. How funny... I've had the same exact thoughts about how the 2nd book would be filmed and I agree. I think just continuing where the story left off and maybe doing some sort of cliff hanger at the end of Season 2 introducing Roger and Brianna would be a great way to make the story more watchable and to draw people in for season 3. At that point, they could pick up with Claire telling the story and Roger researching what happened to Jamie. I was in the camp of *wanting* the producers to keep the framing story. It's a great narrative hook! 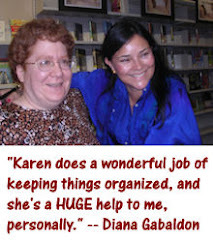 But then I started thinking about it in terms of episodic tv instead of a large novel, and I realized that to do that, the producers and writers would probably have to figure out a way to reminder viewers *each and every* episode that Claire is in 1968 and remembering her time in France/Scotland before returning. Otherwise it will make no sense at the end if you missed the beginning. So the framing story may just be impractical for this medium. We shall see. I was also one who was hoping for the last 2 mins of season 1 episode 16 to be Claire and Bree knocking on Roger's door in 1968 as the cliffhanger. But that only works if there's some way to keep the framing story without it getting cumbersome. One aspect I haven't seen mentioned yet...this is a television series and it will probably follow the same format other great shows have with the big season-ender, then a break, then lots of publicity, then re-running the shows as a marathon with tidbits of whats to come. There will be spoilers, cast interviews etc and a big build-up. So whatever they do, the average viewer isn't going to be forgetting what lead up to this big new season episode. One thing Ron has said a lot in interviews is the great thing about this story is that it takes the viewer all over the place with a lot of surprises. Why not jar with a 1968 opening? It will be awesome and a great event no matter what. Someone told me that there will only be 8 episodes in 2014 with the next 8 to be aired in 2015. Can anyone confirm this? This is true, Lesharon. 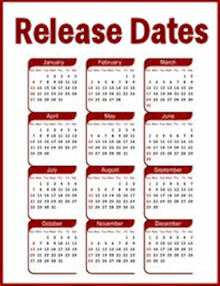 The first 8 will play until the end of September, then there will be a break and the next 8 will start sometime in January with no exact date yet that I have heard. I have also heard that it is going to be a "screaming" cliffhanger to lead into the break, which I am trying to guess. Maybe the witch trial?? I'm pretty sure viewers can handle it. It was a big shock to us as readers, but it only made us love Jamie and Claire's story that much more. And talk about building excitement for season three! I agree with the first comment. When I read DIA the first time, I just skipped to the part where Jamie and Claire's story continued and that would be how I would film it. I found the 1968 "brackets" really distracting and confusing and frankly not that compelling. Also, it seems they are already working some of the story in 1968 into the show. There are scenes of missing posters and Frank and Rev. Wakefield searching for Claire already in the third episode.